In these concise, almost impressionistic explorations, Oh does not attempt to poeticize the familiar, but to frame and transcribe a landscape he recognizes as innately poetic. His function as poet is less to create a lyric universe than to channel the lyric reality he observes. Night Sky Checkerboard’s opening poem, “Footsteps in Snow,” serves as a manifesto of sorts for this philosophy. Here, Oh’s own lyric line is presented as part of the same poem that is ‘[recited] in a resonant voice’ by a magpie on ‘the tip of a poplar branch’. Oh’s act of setting words to paper, likened to leaving neat steps ‘on the snowy ground’, has served only to awaken the magpie, which responds to the ‘sound of a snow-laden branch breaking’ underfoot by cawing a more complete passage of nature’s poem than Oh himself can write. In his translation, Brother Anthony has taken pains to preserve many of Oh’s linguistic hallmarks, including his frequent use of onomatopoeia. From the magpie’s “Caw-caw” to the woodpecker’s rapid-fire “ta-ta tatata ta-ta,” the “bang” of a rock being struck, or the “splash” of a frog leaping into the water, Brother Anthony is sensitive to Oh’s contention that birdcall and thundercrack are all part of nature’s poetry. 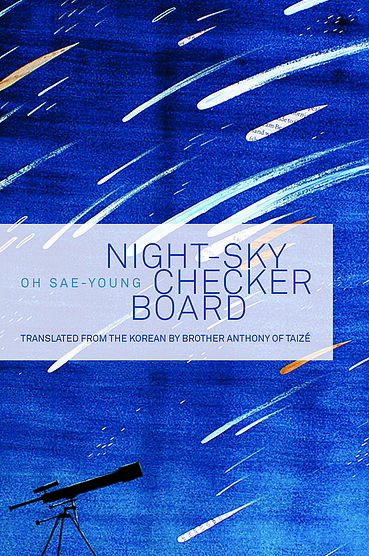 Night Sky Checkerboard is, in sum, a tender and astonishing read. It is a virtue of both Oh’s poetry and Brother Anthony’s translation that such deliberately crafted reflections on the poet’s intimately-known landscape can strike deep and true across the boundaries of space, language, and culture. This volume, one hopes, is but the first step in a longer and even more fruitful collaboration between the two. These are the reflections of the storyteller in “Charcoal Mustache,” one of sixteen stories that comprise Christos Ikonomou’s Something Will happen, You’ll See, newly translated from the Greek by Karen Emmerich and made available to English readers by Archipelago Books. If one has not read Ikonomou before, this collection is an excellent place to start. The stories read with an authenticity of character reminiscent of V. S. Naipaul’s Miguel Street, yet with the edginess of style and modern struggle of Junot Diaz’s Drown. With this second collection of short stories, for which he won Greece’s prestigious Best Short-Story Collection State Awards in 2011, Ikonomou has secured his place as one of the notable and recognizable Greek writers, both within and outside of his native country. 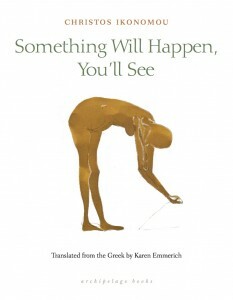 And although the book was released in 2010, Karen Emmerich’s timely translation brings Ikonomou’s book back into the spotlight when issues of migrant laborers and the struggles of the working class are at the forefront of discussions about Europe. Ikonomou’s concern for the working class is one of the urgent undercurrents that courses throughout all the stories. One could call him a writer of the working class, a word-smith of the people. These are the tales of dockworkers, the laid-off, grocery stockers, ice-bag deliverers, and hospital janitors. But they are not told with a patronizing romanticization of poverty. Often the workers, (if they are fortunate enough to have a job at all), are ashamed of their menial and low-wage jobs, feeling the crushing weight of the necessity of working in a world that places more value on a “handful of bills” than on the dignity of human life. Frequently the people in the stories let slip their feeling about a world that is about to end or ponder what the state of the world will be when everyone and everything they know has vanished. There is a tension in these stories that the end of the world, an economic apocalypse, is just weeks if not days away. Although this collection often has been reviewed as a response to the Greek economic crisis of 2008, as Ikonomou himself has noted, his work on these stories began as early as 2003. The fears and despairs of people trying to keep their world from falling apart are not contained within the timeframe of the Greek economic crisis. These are stories about the fear of destitution and the dreams of a heroic escape from the shackles of capitalism that speak to the condition of impoverished people at any time, in any place. These stories, however, are more than a list of grievances. These are stories of the lives, loves, tragedies, and dreams of the working class in Greece. At times, there are even surprising moments of humor. In “The Blood of the Onion,” for instance, one meets the impressive ice-bag deliverer, Michalis, who can recite dozens of poems in Spanish, the language of his hopes and dreams, and as he melts away the product of his labor, a piece of ice, in his hand—“Isn’t that awful… To make something you know will be gone the very next moment”—he is reprimanded by the foreman. In protest, he “raise[s] a fist and intone[s] the finest line of poetry he knew: ‘Ize cream youz cream we all zcream for ize cream.’” The characters of these stories are fully-fleshed out, and the tales of their lives delve deep below the surface of economic and political labels to expose the human spirit within. Most rewarding of all, these are stories of the resilience of the human spirit, and they capture that elusive but crucial aspect in the human condition: hope. As the title promises, something will happen. But what happens in the stories in terms of actual events is most often nothing. The conditions of the people telling the stories hardly changes, and nothing happens in the present time of the story. The misfortunes and hardships of their lives often have already happened or are impending. Instead, what happens in most of the stories is the telling of another story, the sharing of tales between friends, the reminiscences between lovers, or a story to pass the time between five men waiting for the Social Security office to open. Out of this sharing of stories, what abounds is a human connection. As the quote at the beginning of this review suggests, it is the human voice, “a voice in the half-dark, a calm familiar voice, the voice of my friend,” that gives readers the connection they need to be able to feel that one can endure, that one can hold onto hope, no matter how small and fleeting it may be. So that in the end, something does happen, but what that something means is left in the hands of the reader. With a touch of meanness, Walter Benjamin said of Max Brod that he was a question mark in the margins of Kafka’s life. 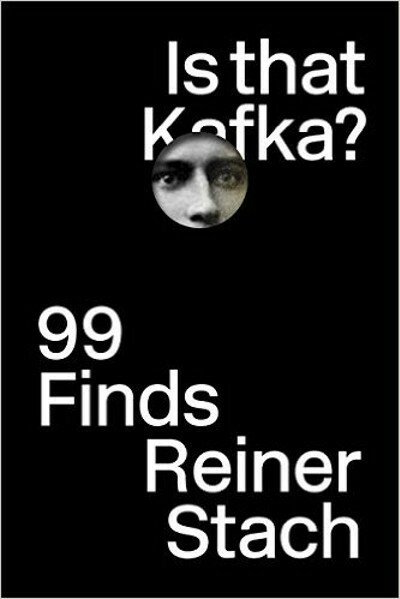 Years later, Reiner Stach’s Is that Kafka? 99 Finds proves that the margins of Kafka’s life were, in fact, swarming with punctuation: question marks, exclamation marks, ellipses. Readers may be familiar with Stach’s former foray into Kafkology, his three-part definitive biography, the much-awaited third installment of which (covering the first twenty-seven years of Kafka’s life) will be published in English this year. Is that Kafka? is an altogether different sort of book, a collection of offcuts and oddments that accumulated while Stach was preparing the main course. A collection of crumbs this may be, but what delicious crumbs they are. Stach’s “finds” reveal a Kafka almost wholly different from the one who has become so familiar to us—a Kafka who is charming, affable, and worldly: a safe pair of hands in the office and a shoulder to cry on outside of it. We learn that Kafka was discreet but hardly timid—a charmer and a confidant who won the affection of almost all those whom he met. 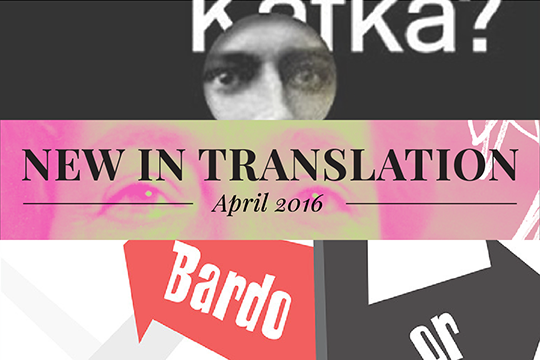 Elsewhere, Stach presents us with a Kafka who was irresistibly enigmatic, even in his own time. One chapter, probably the loveliest, is called “What Colour Were Kafka’s Eyes?” and reveals the diverging answers to that question. In another, we learn how, long after Kafka’s death, a well-known writer paid a visit to Max Brod in order to view some of Kafka’s manuscripts. “But at just that moment, the lights in the entire house… went out due to some mishap with the electricity, and the honorable guest returned home disappointed; he hadn’t seen a single letter”—an image that is redolent of Josef K. blindly groping his way out of the cathedral. Of course, formally, the book is a little gimmicky. But those who are so put off by the appeal to populism that they steer clear (perhaps preferring to smile contentedly at Stach’s three-part biography sitting resplendent on their shelf: “One day, one day”) will miss out sorely. For this treasure-trove of marginalia doesn’t simply pander to our senses of voyeurism and humour (though it certainly does do that—and why not?). 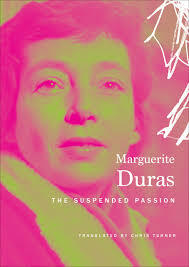 If you are a Marguerite Duras fan, you should read The Suspended Passion, a book of interviews with Italian journalist Leopoldina Pallotta della Torre, carried out between 1987 (when Duras was seventy-three) and 1989, which offers a detailed glimpse into the different eras and aspects of the personal and professional life of Duras. In the first chapter on “A Childhood,” Duras speaks, mostly fondly, of her Indochinese childhood. She remembers “the smells of rain, jasmine and meat,” “the melodious laughter of that people,” and “something both noble and savage [brutal]” about their lifestyle there. She speaks of her relationship with her two brothers, her mother, whom she calls “an extraordinary story-teller,” and the absent father. “I sometimes think the whole of my writing originates from there,” she says. In the second chapter, Duras speaks of her student years in Paris, of not being political until she joined the communist party and writing despite that, of the 1960s, of politics, her friendship with President Mitterrand, journalism, and subjects such as God, happiness, chance, and else. The two then move on to also talk about Duras’ films and her work in theatre in the following two chapters. As the French translator René de Ceccatty mentions in his note published at the beginning of the book, even though there are many important interviews with Duras out there, no other interview project “was equivalent to the conversation with Leopoldina Pallotta della Torre, whose aim was to deal exhaustively with the writer’s life and career in a single volume.” If you do get the book, make sure to read this note, which tells the interesting story behind how the translator got hold of a copy of the interviews and was able to work on them, “retranslating the words of a French writer from Italian.” Also don’t forget to read the introduction by Leopoldina Pallotta della Torre to get a sense of behind-the-scenes of the interviews and even more glimpses of the one and only Marguerite Duras.